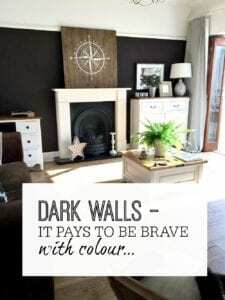 Dark walls - it pays to be brave with colour when using them! 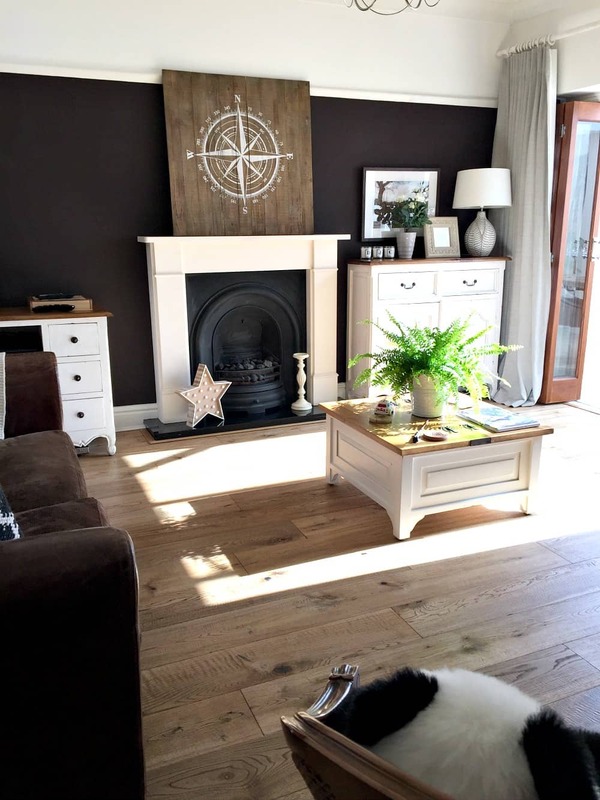 Don’t get me wrong – there are times when dark may not work as well – and I want to list those that I can think of as well for you as I’d hate to promote the wrong thing for your home – then it’s up to you to decide! 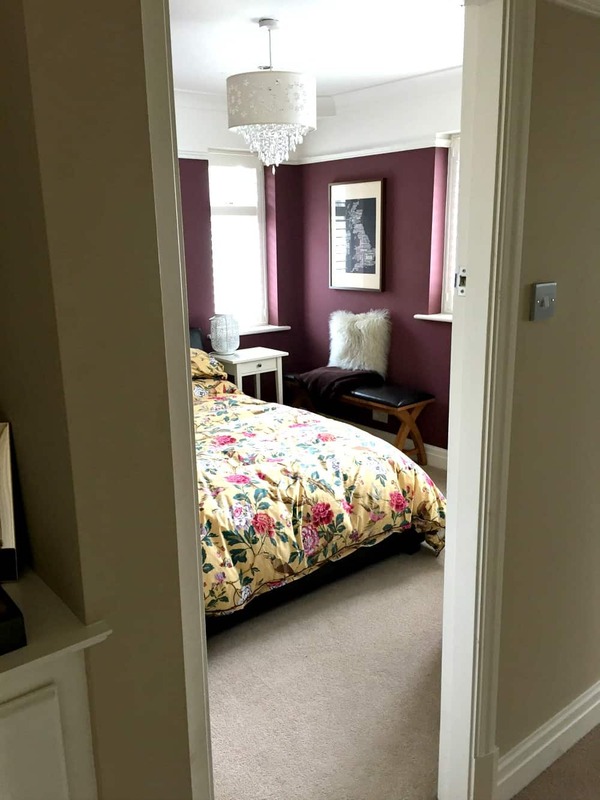 If you have a modern home without coving or a picture rail, then the dark wall colour hitting the light ceiling colour may look too harsh – there are some examples of when this works below – so see what you think! My husband luckily trusted me completely with the choice of paint for our family room but had to take a second glance at the colour when I showed him the sample! 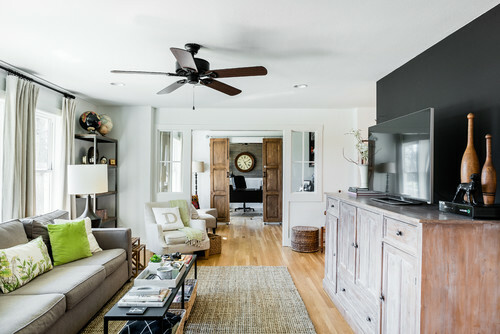 This room has such a great feel to it and is a lovely showcase for the picture wall and the white furniture – whereas the large brown sofa blends into the background so feels less imposing. 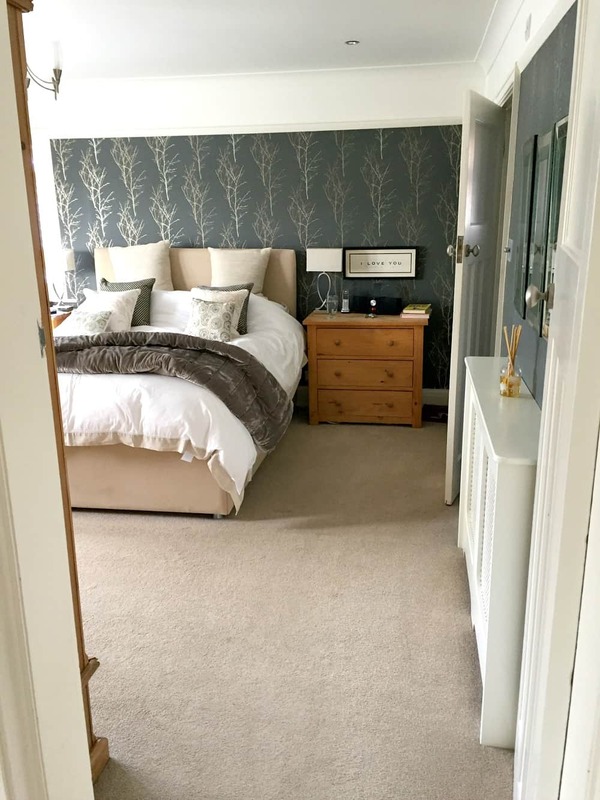 This was a very recent project I did with the smallest room of the house so you can only get a glimpse at the moment!. 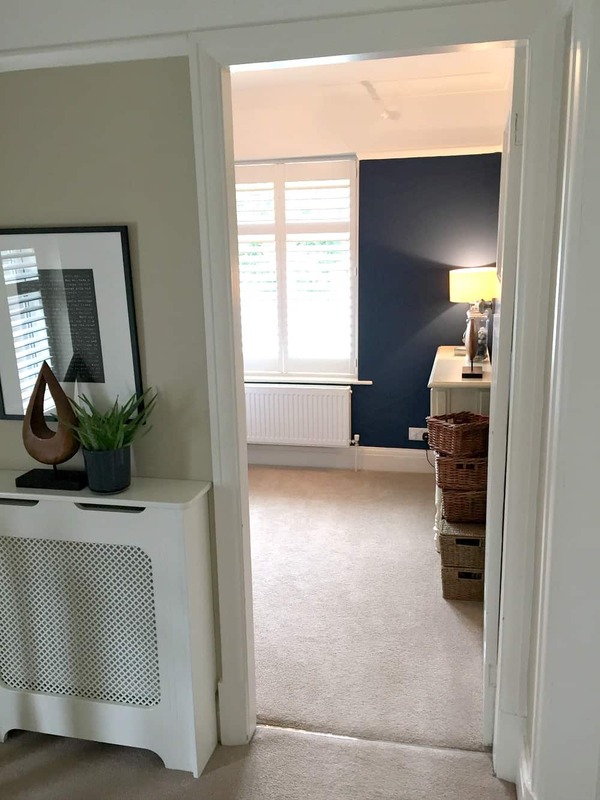 You would naturally think that a lighter colour would be best in such a small room, but we all feel that the darker blue has completely made the room feel more spacious – weird hey! Another project I have yet to unveil properly – so another glimpse (I’m all for these glimpses today – keep the suspense going!). 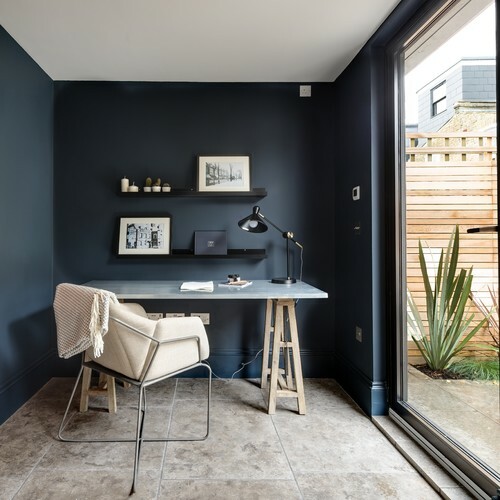 I love that the windows stand out so well against the dark grey – and notice that the ceiling and walls line is crisp and neat making it look really modern. 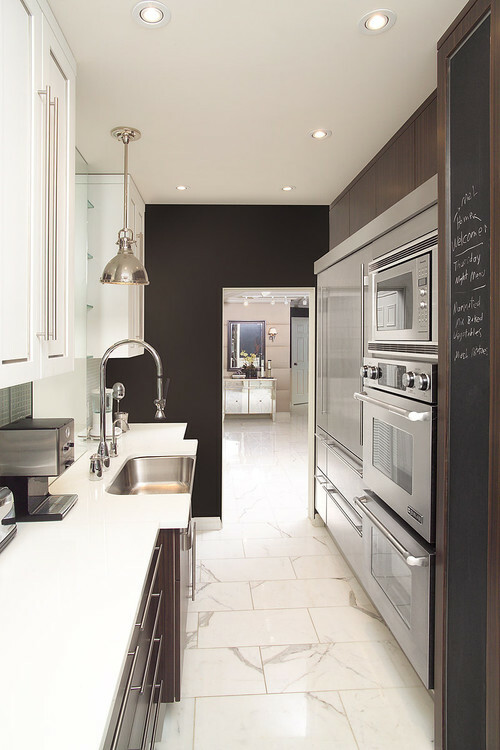 Even black doesn’t look too overpowering when done right…. And what about your kitchen? – a chalkboard wall would be great fun!.. 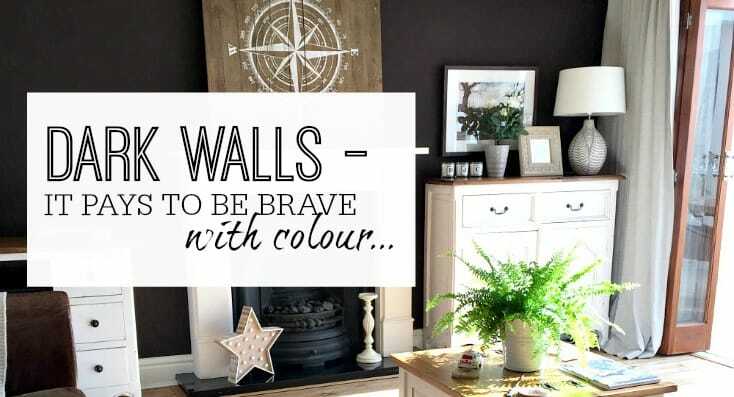 Lastly – if you’re not sold on painting every wall – why not do a feature wall? 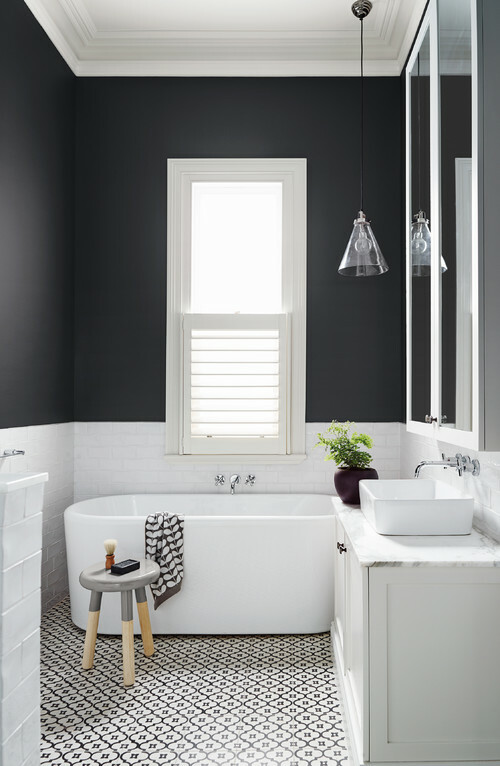 So now you can see how amazing darker walls can look – have I got you thinking about your own home now? Is there a room that would be perfect for a makeover? Great post. I love a dark wall. I went brace and painted my dining room dark and my husband nearly talked me out of it, but we both love it ?? I have similar taste to you, lovely home ? ?